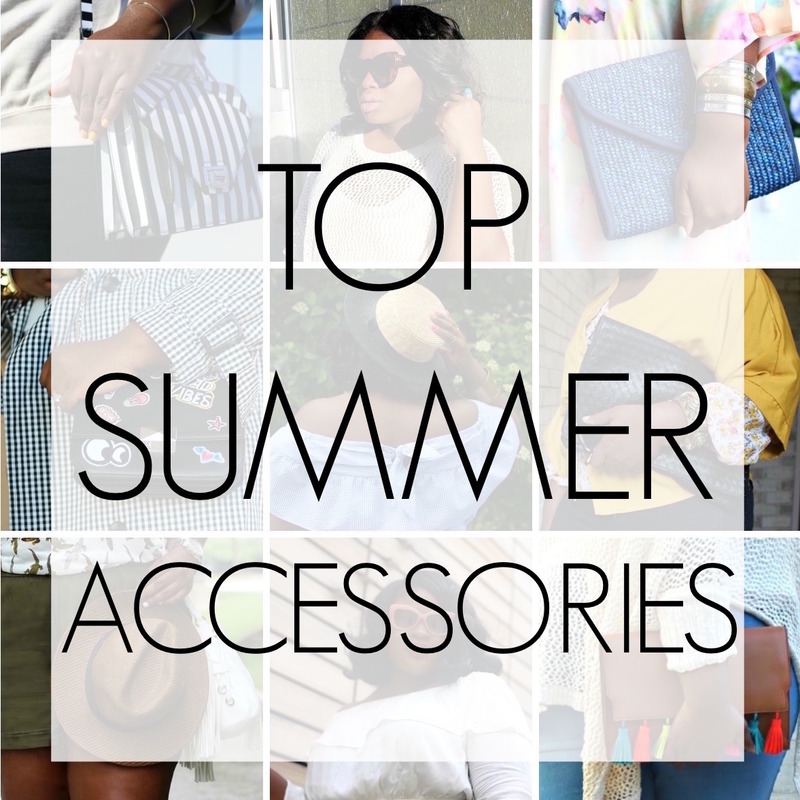 With all the sales abound thanks to Memorial day I thought I do a post on the top accessories you’ll need this summer. I’d def take advantage of these great deals. I will not be mentioning shoes in this post because I did a post here exclusively on them and if you wear extended sizes its a must see. Will you be taking advantage of these awesome sales I’m thinking of doing a round up should I? The first category is embellished: think bags, hats, and accessories with pom-pom, pearls, and other 3D appliques. 3rd geometric shapes: this is def a newer category especially for bags in the recent years we’ve seen a resurgent of certain shapes like the bucket this year, however, the circle shaped bags are def having a moment. 4th is the seventies inspired eyewear: a move away from mirrored lenses to an emphasis on tints, yellow tints say urban and cool, vintage tints in brown’s say bohemian, and retro. The 5th and final category is statement earrings: there are so many iterations of this so there will be a style to match your taste. From drops (like these) to hoops to tassels in soo many colors it’s a trend that looks good on anyone and is an easy fix to a basic outfit. Dress up your jeans and a tee and some color and flare to a monochrome outfit you name it. So let me know what is your top accessory for summer besides your gorgeous smile of course? Are you loving all this talk of summer and sales, sign up for our Newsletter for exclusive content and upcoming happenings also follow this blog on Bloglovin so you never miss a post.